It’s going to look fabulous! And a million billion thanks to my brother for dashing about getting it ready, and to Anna of Talliaferro for all her help making sure the thing gets ready in time for the show. I am really going to enjoying showing this off after all the time I put into it. 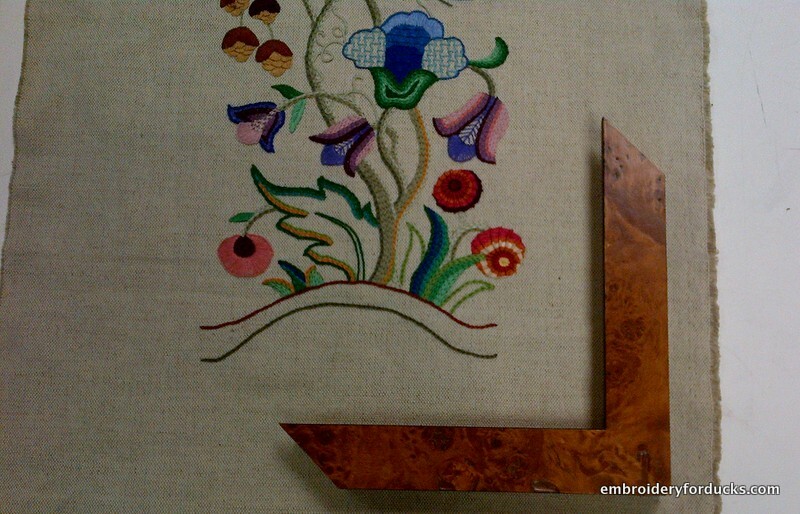 This entry was posted in Crewel, Finishing techniques, My work and tagged crewel, embroidery, framing. Bookmark the permalink. 10 Responses to Plas Teg Bellpull: To the frame shop! Oh wow is that the frame wood you brother picked or you? Just love it ! Perfect for it. Its gonna win first!!! My brother has a good eye! I left the decision to him as the man on the spot. 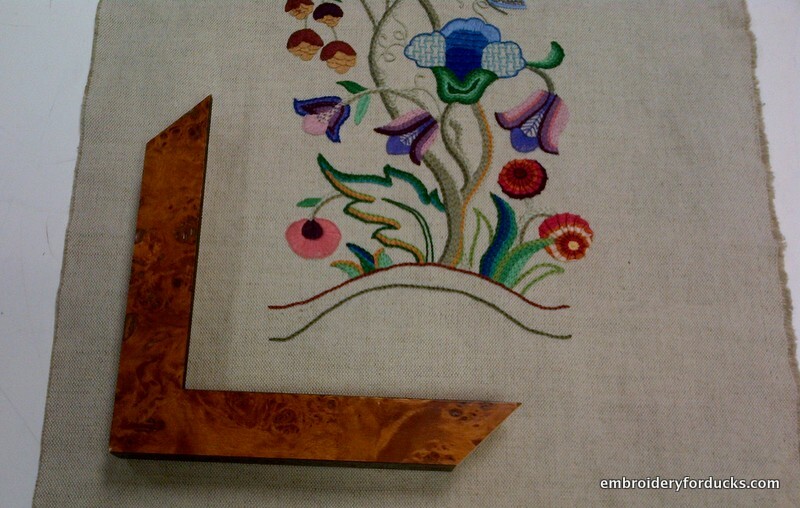 Excellent choice of frame, the wood really sets off the colours in your embroidery. Yes, a good choice – warm coloured, and nicely figured to stand up to the embroidery. The bird’s eye maple is perfect! It’s sure to be a hit at the show.